A Wavetech was born from the motivation to develop new directions for the national electronics industry. Its creators, then encouraged by the attraction to build company e products to a seemingly undeserved market niche, go into the business of creating products for all classes of those in need of hearing aid, eliminating various exclusion topics for business and for users. Initially, there was a survey of all existing barriers: public service agenda difficulties, labor shortages absolute unavailability of some critical inputs, inadequacy of the Brazilian industry for the creation of some matrices and other components, multiple system requirement quality, and finally, an arduous escalation of research and choices, in which small industries in the country, adjacent to the branch, benefited from knowledge of new technologies. Some with more receptivity consistent, are today qualified as partner suppliers. Innovation needs to tread unknown paths. In this paradigm, the technique has developed its own system capable of promoting the scalability of products, considered later by the Ministry of Health engineering as a critical success factor in its production line. He developed his own algorithms of digital signal processing, his capsules, and concurrently created the exclusive adaptation software, the Wavefit, innovating in this area, he developed in the Portuguese language, so that the speech-language pathologist, his or her user, can take advantage of all the subtleties of the understanding with the client, without any foreign language lock. The Wavefit, is the first software national hearing aid system fully compatible with the most used by large manufacturers, not only in Brazil. This issue of success allows access to the APACS of the SUS and others, to hearing aids of the brand Wavetech. O Wavefit today, it is being updated and translated into several languages. Accessing the History of company, it is possible to understand the various opportunities team took advantage of the development of Wavetech, and who were your partners throughout this journey, to which every team is very grateful. Strategic information: According to data from the World Health Organization (WHO), the demand for hearing aids in developing countries is about 30 million per year, and only 2.3% of this demand is met. Considering that the loss of audition of the general population has increased significantly worldwide, it is believed that this reality will be severely enlarged in the near future, especially taking into account the opportunity of longevity without precedent that the human being has achieved. Knowing this reality, and moved by challenges of development and affirmation of the Brazilian industry, The Wavetech part for the development of cutting-edge national technology, quality digital hearing aids, although know that the national and global market for this type of product is now dominated by a small group of large foreign for your hearing aids. The domain of technology makes the value of hearing aids high to purchasing standards. Brazil and other developing countries. With the use of software compatible with the most commonly used platform, and hardware in a proportion of nationalization never before achieved by the Brazilian industry, the WaveTech gains relative technological independence with respect to manufacture of hearing aids, making it possible to supply them, including for niche markets not yet served by international producers, diminishing the repressed demand and facilitating the population's access to the promotes social inclusion, with great reduction of exclusionary factors. Proactively design, develop and produce technological solutions for biomedical and related areas. Being recognized as a high-tech biomedical company, accompanying innovations increasingly promoting its technological independence, through solutions of value, firmly in the market in which it is inserted. Innovation: Monitor their beliefs and attitudes towards the acceptance and dissemination of change as a paradigm of development and sustainability. Proactivity To be attentive to the movements of the world market of new technologies that can import in benefits the biomedical area and its applications in processes, products and related services. Integration: Make partnerships that prioritize quality and keep focus on their markets. Appreciation: Disseminate scientific knowledge to the specific community and society in general and to provide developmental improvements to professional education in the field. Meritocracy: Promote, evaluate and reward free initiative in the participation of employees in search of continuous improvement of processes and products. 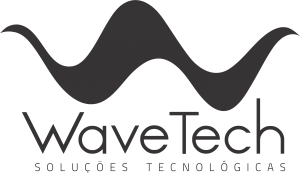 Wavetech Soluções Tecnológicas © Todos os direitos reservados.